Al Quran Home ..::..Excellence is our standard not goal! Al Quran Home is a trusted name and leading multinational virtual Islamic school serving in USA, UK, CANADA, AUSTRIA, SINGAPORE, MALAYSIA, & some other countries of the world. Its major purpose is to spread the knowledge of Quran in each & every house of the world, and to teach Quran to all at their level with proper tajweed rules. We focus innovative result oriented learning with a single over riding purpose to improve student Islamic learning. 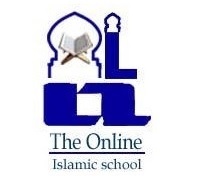 AlQuran home is one of the leading online education system for the who want to learn Quran & Islam on line by way of distance courses. Simply We lead the res follow . It works with you & your budget . No registration / admission fee. One to one learning . Join us anytime from any where (24/7) . Time of your choice .